Last revised and effective as of December 19, 2016. 1.1 Use of Site: You may access and use the Site solely for your personal use in accordance with these Terms. You agree not to access or use the Site in any manner that is prohibited by these Terms or is otherwise unlawful. We reserve the right, in our sole discretion, to terminate or suspend your access to, and/or use of, the Site, or any portion thereof, at any time, with or without notice and for any reason (or no reason), and you agree that (a) if your authorization to access the Site is terminated, you will not thereafter access, or attempt to access, the Site, directly or indirectly, and (b) if your authorization to access the Site is suspended, you will not thereafter access, or attempt to access, the Site, directly or indirectly, until your suspension is removed and we give you express notice thereof. 1.2 Use of Content: You may make a single copy and/or print a single copy of any information displayed or transmitted on the Site (including, but not limited to, logotypes, trademarks, service marks, directories, guides, news articles, opinions, reviews, text, photographs, images, illustrations, audio clips, video, html, source and object code, software, data, and the like, collectively “Content”) for your personal use only. 1.3 Restrictions: Except as expressly permitted in Section 1.1 and 1.2 above, you may not, without first obtaining our express written permission, (a) distribute (including via e-mail), or otherwise make available, copies of any Content to anyone, (b) republish the Content on the Internet or any intranet or extranet site or incorporate the Content in any database, file, compilation, or archive, (c) reproduce, adapt, distribute, perform or display any Content, in each instance except to the extent required for the limited purpose of viewing material on the Site, (d) alter or remove any trademark, copyright or any other notice contained in any Content, (e) archive or retain any Content in any form, (f) use Content for any commercial purposes, (g) use any of our trademarks as metatags on other web sites, (h) use the Site in any manner that is illegal or impairs the operation of the Site or its availability or usage by others, and/or (i) display any part of the Site in frames (or any Content via in-line links). You may not decompile, reverse engineer or disassemble any software or other products or processes accessible through the Site, and not to insert any code or product or manipulate the Content in any way that affects the user’s experience. You further may not use any data mining, web crawlers, robots, cancelbots, spiders, Trojan horses, or any data gathering or extraction method in connection with your use of the Site except for customary search engines used in accordance with instructions directed to search engines and available on the Site. 1.4 Product Information and Colors: We have made every effort to display as accurately as possible the colors of our products that appear on the Site. However, as the actual colors you see will depend on your monitor, we cannot guarantee that your monitor’s display of any color will be accurate. 2.1 Registration: Currently, we do not require registration in order to access and use areas of the Site although we reserve the right to require registration in the future. 2.2 User Submissions: At present, we do not enable users of the Site to upload content to the website although we reserve the right to do so in the future. You may communicate with us by clicking on the “Contact Us” link found on the bottom of the Site’s web pages, completing the information requested, and clicking “Submit” or “Send”. When you submit comments, reviews, feedback, suggestions or ideas to The Jewelry Group in connection with your use of this Site (collectively, “User Submissions”), The Jewelry Group will not be obligated to use any such User Submissions or to identify you in connection with any such use, but will be entitled to use those User Submissions in its sole discretion. You hereby grant to The Jewelry Group and its third-party service providers who provide The Jewelry Group with content management and website services (the “Licensed Parties”) the perpetual, irrevocable, royalty-free, fully-paid, non-exclusive, transferable right and license to use (and to authorize others to use) your User Submissions in any manner in The Jewelry Group’s sole discretion (including, but not limited to, use on its webpages, social media site pages used by The Jewelry Group, and in its other marketing, promotional and advertising activities), in any media now or hereafter known. The Jewelry Group may use, display, reproduce, distribute, transmit, create derivative works from, combine with other materials, alter and/or edit your User Submissions in any manner in its sole discretion, with no obligation to you whatsoever. You hereby grant the Licensed Parties the right to use your username, real name, location or other identifying information in connection with any use of your User Submissions as The Jewelry Group determines in its sole discretion. You hereby represent and warrant that (i) you own all rights in and to your User Submissions, or the holder of any such rights has provided you with all necessary licenses, rights, consents and permissions to publish the User Submissions you submit and to grant the rights granted herein, (ii) you and the holder of any rights in your User Submissions are not minors, (iii) the Licensed Parties’ use of your User Submissions as described herein will not violate the rights of any third party or any law, including but not limited to copyright, trademark, privacy, publicity or other proprietary rights, and (iv) your User Submissions will not be or contain false, libelous, defamatory, harassing, threatening or otherwise unlawful, abusive, hateful, indecent or obscene material. Your User Submissions are deemed non-confidential and the Licensed Parties have no obligation to maintain the confidentiality of any information, in whatever form, contained in any submission, except under the Licensed Parties’ respective privacy policies. The Jewelry Group is and shall be under no obligation (1) to pay you any compensation for any User Submissions or (2) to use or respond to your User Submissions or to identify you in connection with any such use. 3.2 Third-Party Dealings: Some portions of the Site may direct you to a web site of a third party. Your dealings or communications through the Site with any party other than us are solely between you and that third party. Please review carefully that third party’s policies and practices and make sure you are comfortable with those policies and practices before you engage in any transaction. Any complaints, concerns or questions you may have relating to materials provided by third parties should be forwarded directly to the third party. Except for Content that is in the public domain, all Content, as well as the selection and arrangement of the Content, is owned by (or licensed to) The Jewelry Group, its affiliates or suppliers and is protected by copyright, trade dress, trademark, unfair competition, and/or other laws and may not be used, copied or imitated in whole or in part except as expressly provided in these Terms. Except as otherwise expressly provided in these Terms, all rights in and to the Content are expressly reserved by The Jewelry Group. The Site is provided on an “AS IS”, “AS AVAILABLE” basis. ANY CONTENT DOWNLOADED OR OTHERWISE OBTAINED THROUGH THE USE OF THE SITE IS DONE AT YOUR SOLE DISCRETION AND RISK. WE AND OUR SUPPLIERS HEREBY DISCLAIM ANY AND ALL WARRANTIES AND REPRESENTATIONS, WHETHER EXPRESS OR IMPLIED, ORAL OR WRITTEN, INCLUDING, WITHOUT LIMITATION, ANY AND ALL IMPLIED WARRANTIES OF MERCHANTABILITY, REASONABLE CARE, COMPATIBILITY, SECURITY, QUALITY, TIMELINESS, AVAILABILITY, COMPLETENESS, RELIABILITY, ACCURACY, AND/OR FITNESS FOR A PARTICULAR PURPOSE (WHETHER OR NOT WE AND/OR ANY OF OUR SUPPLIERS KNOW, HAVE REASON TO KNOW, HAVE BEEN ADVISED, OR ARE OTHERWISE IN FACT AWARE OF ANY SUCH PURPOSE), IN EACH INSTANCE IN RESPECT OF THE SITE (INCLUDING, WITHOUT LIMITATION, ALL CONTENT). FURTHERMORE, WE EXPRESSLY DISCLAIM ANY AND ALL WARRANTIES OF TITLE AND/OR NON-INFRINGEMENT IN RESPECT OF THE SITE (INCLUDING, WITHOUT LIMITATION, ALL CONTENT). THE JEWELRY GROUP DOES NOT REPRESENT OR WARRANT THAT THE FUNCTIONS CONTAINED IN THE SITE WILL BE UNINTERRUPTED, ERROR-FREE, BUG-FREE, VIRUS-FREE, FREE OF TROJAN HORSES OR OTHER MALEVOLENT CODE, THAT DEFECTS WILL BE CORRECTED, OR THAT THE SERVICES OR THE SERVER THAT MAKES IT AVAILABLE ARE FREE OF VIRUSES, ERROR, BUGS, TROJAN HORSES, OR OTHER HARMFUL COMPONENTS. We and our SERVICE PROVIDERS OR suppliers do not represent or warrant that the information on this Site is accurate, complete, or current. We are not responsible for typographical or other errors, inaccuracies or omissions. you acknowledge and assume the risks inherent from use of the site. Some jurisdictions do not allow implied warranties to be excluded or modified, so not all of the above limitations may apply to you. At present, the Site is hosted on servers located in the United States and is intended to be viewed primarily by residents of the United States. We reserve the right to host the Site on servers located in countries other than the United States. The use of this Site by residents of countries other than the United States shall be governed by and construed in accordance with the laws of the State of New York, USA, without giving effect to any principles of conflict of laws. Residents of countries other than the United States agree that any action at law or in equity arising out of or relating to these Terms shall be filed only in the state or federal courts located in New York, USA, and hereby consent and submit to the personal jurisdiction of such courts. This provision does not apply to residents of the United States. We (a) may modify, suspend, discontinue and/or restrict the use of all or any portion of the Site including the availability of any data or other information contained on the Site at any time for any reason and without notice or liability, and (b) reserve the right, with or without notice to you, to change any of the services offered on the Site including, but not limited to, hours of operation, menu structures, access procedures, software commands, documentation, suppliers and/or other services. These Terms including, without limitation, any other terms and conditions that may appear on the Site from time-to-time, contain the full understanding with respect to your use and access of the Site and supersede all prior agreements, terms, conditions and understandings, both written and oral, with respect to such use and access of the Site. A printed version of these Terms and of any notices given to you in electronic form shall be admissible in judicial or administrative proceedings based upon or relating to these Terms to the same extent and subject to the same conditions as other business documents and records originally generated and maintained in printed form.  The failure of The Jewelry Group to insist upon or enforce strict performance by you of any provision of these Terms shall not be construed as a waiver of any provision or right.